After too long in Hong Kong, we were thrilled to be on our way to Taiwan! 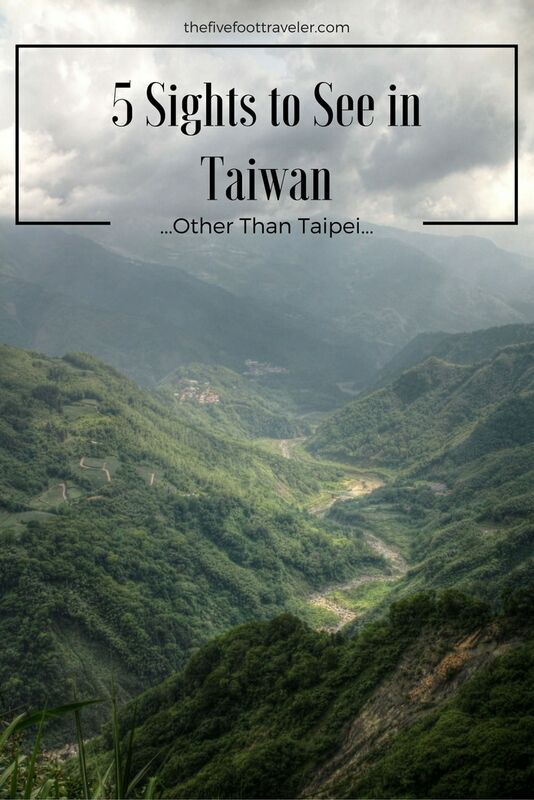 Before heading north to Taipei, we decided to do a quick three-day road trip through central and southern Taiwan, beginning in Taichung, to get a better feel for the country. While most car rentals were charging an absurd price for such a short amount of time, we found Green Island Car Rentals to be quite reasonable and affordable. We were met by Eddie, owner of Green Island Rentals, and brought to our car. It was an older car, but it drove well and had working air conditioning, which is a must in Taiwan! Following an easy pickup and rental process, we were commencing our road trip in Taiwan! 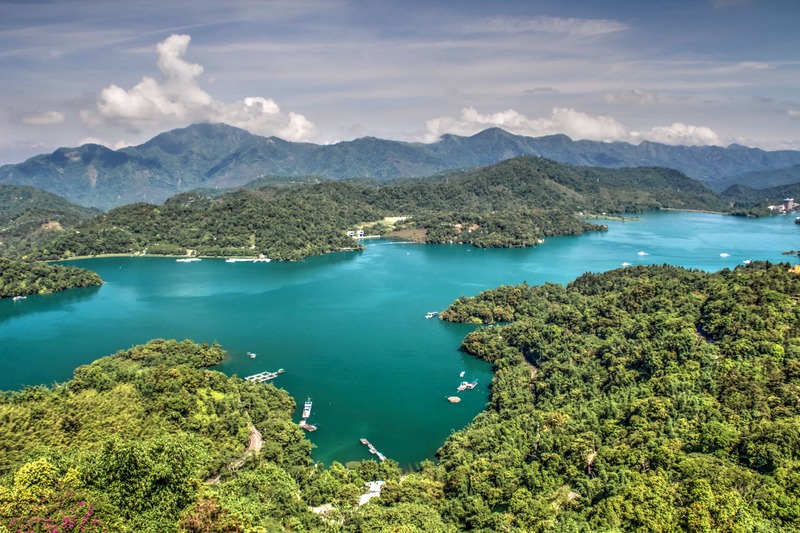 Taiwan was originally put on my radar after I’d seen a photo of Sun Moon Lake. Despite landing in Taiwan in the midst of a rainstorm, we decided to drive straight to Sun Moon Lake in the hopes that it would clear up. While it didn’t clear up per se, we did enjoy wandering through the Wen Wu Temple premises. We quickly acknowledged that the Chinese Temples were far different from the Korean Temples which were entirely different from the Japanese Temples. The Wen Wu Temple was elaborate and directly on the lake — it’s a shame we couldn’t actually see the lake itself. 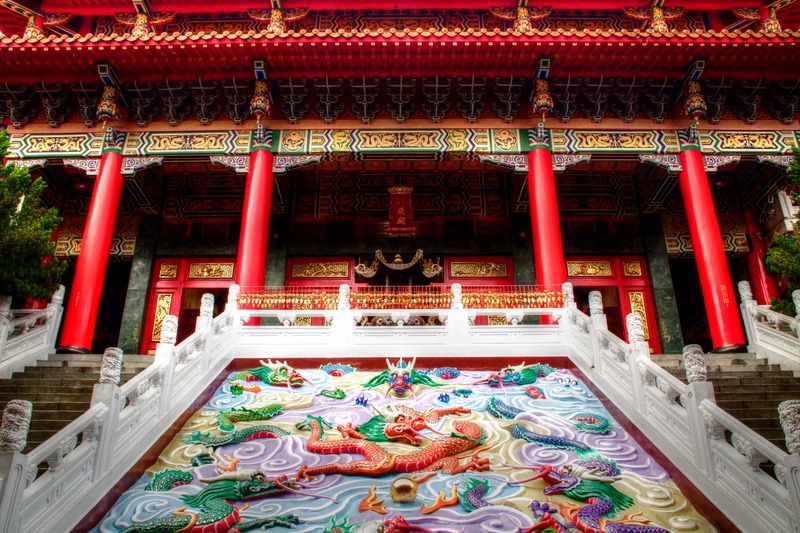 Originally built in 1938, and redesigned in 1945 to look more “Chinese,” this temple is beautiful. 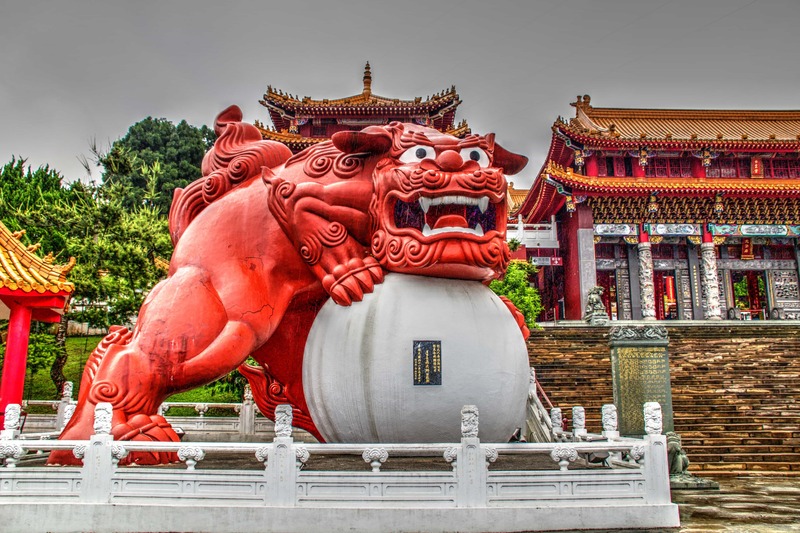 At the entrance, you will see two Chinese guardian lions, a male and a female, that look a bit cartoony but quite cool nonetheless. The temple itself consists of three separate halls, dedicated to the God of Literature, the God of War, and Confucius. I’ve never been one for gift shops, but we purchased peanut mochi and crystallized dried oranges in the shop — both affordable, and both incredibly tasty. We hadn’t pre-arranged our accommodation in Sun Moon Lake before our road trip in Taiwan, and after hours of wandering into fully-booked places, we finally stumbled upon the Love Home Garden Inn. While technically advertised as a backpackers, the rooms were far nicer than your usual hostel room. 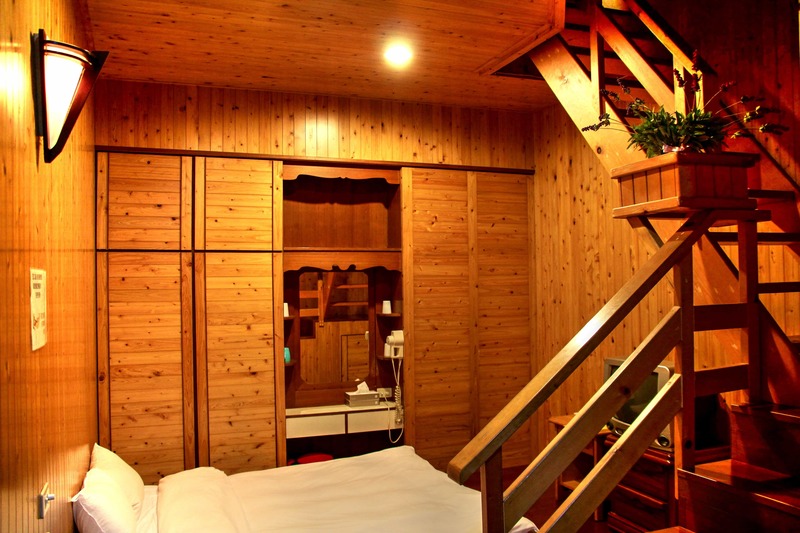 We were put in a room that was more like a two-level wooden home. Equipped with strong WiFi, air conditioning, and en suite bathrooms, Love Home Garden was just what we needed after a long day of travel, driving, and plenty of rain. When we awoke the following morning, the sun was shining and we raced to the waterfront. At last we were able to see the stunning Sun Moon Lake! Driving around the lake, we stopped at the Ci-en Pagoda located atop one of the small mountains. It’s a decent 10 minute walk uphill to the pagoda, but the views are worth it! Be aware of baboons on the trail, and, as with any wild animal, keep your distance; we had two baboons try to charge at us, but Erik’s presence scared them away. There was no one there when we arrived at the Pagoda, so we had the privilege of seeing the pagoda and the lake tourist-free. 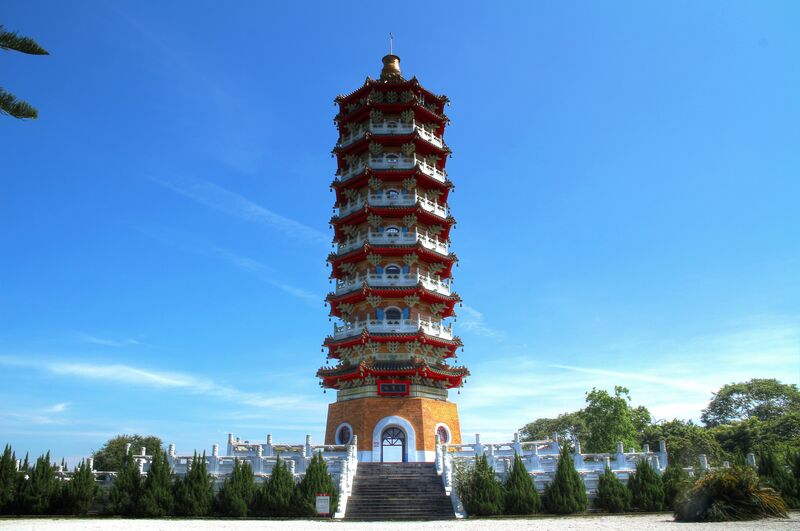 The Ci-end Pagoda was built by Chiang Kai-Shek in 1971 to commemorate his mother. Be sure to walk to the top of the Pagoda for the most beautiful views! From Sun Moon Lake, we drove to Alishan. I was most excited for Alishan, but unfortunately the weather took a turn for the worse as we drove the windy mountain pass up to Alishan. While typically you could see mountain peaks with a valley of clouds below, we couldn’t see a thing. We had intended on spending the night in Alishan to witness the well-known sunrise over the mountains, but we kept driving. 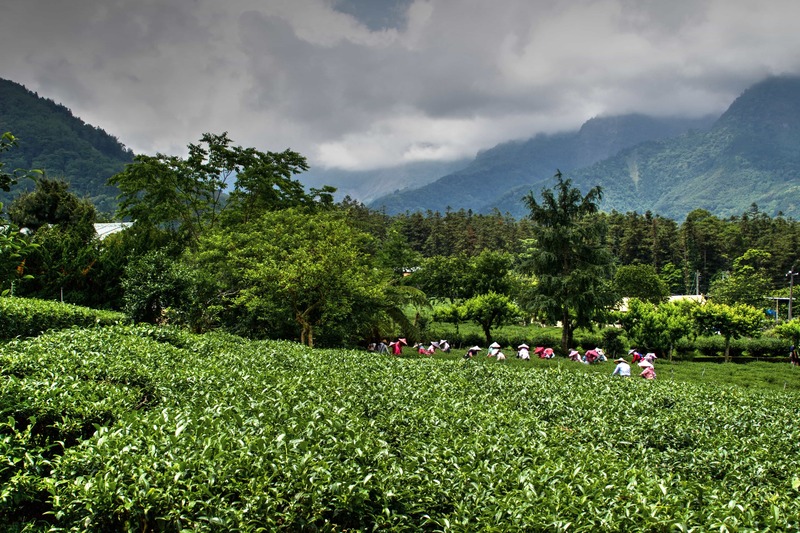 On our way down, we found ourselves in Alishan’s Tea Plantations, known for its production of High Mountain Oolong Tea. 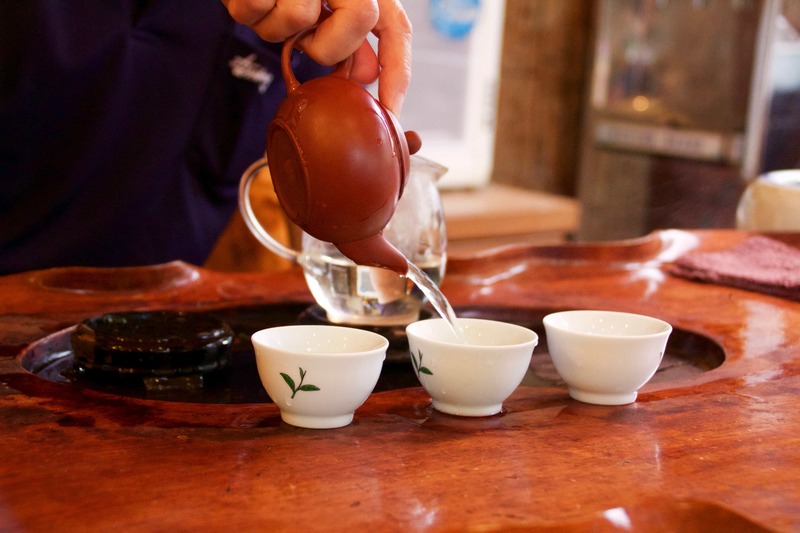 We were able to see the tea fields, and even had the opportunity to partake in a local tea-tasting. 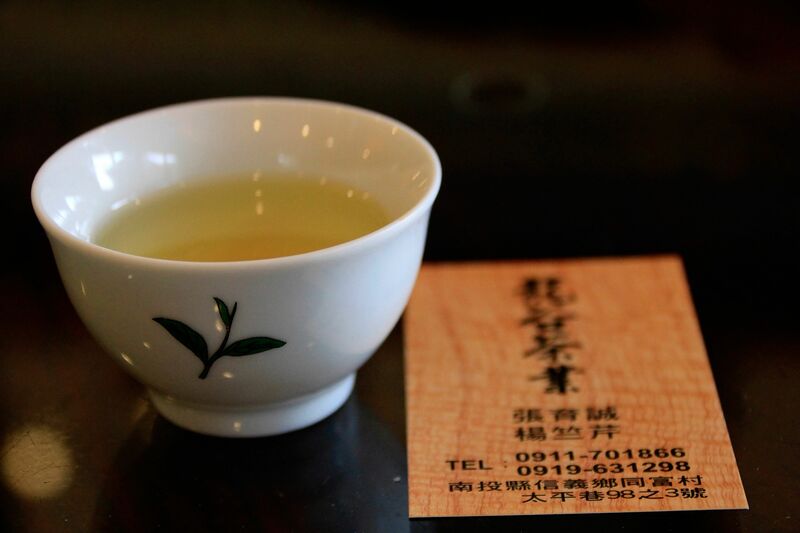 I couldn’t tell you the name of where we stopped, as it was in Chinese, but the gentleman wouldn’t even let us pay for our 30-minute Oolong Tea tasting; he was so kind! It was a great addition to our road trip in Taiwan. We continued our drive onwards to Tainan City, as the weather prevented us from making our way to the East Coast. We made Leader Business Hotel our home base for two nights for our exploration of Southern Taiwan. The hotel was in a great part of town, surrounded by night markets, local restaurants, and plenty of convenience stores too. 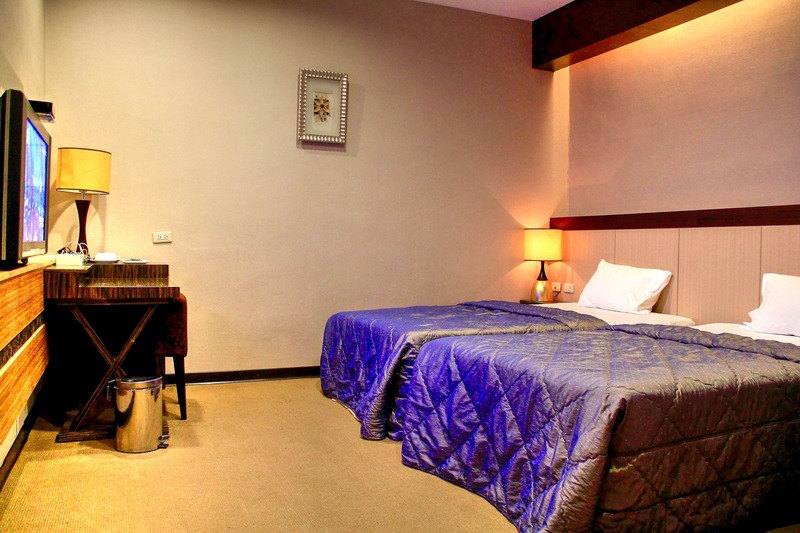 Our room was spacious and clean, with touch screen controls, desk, a flat screen TV. 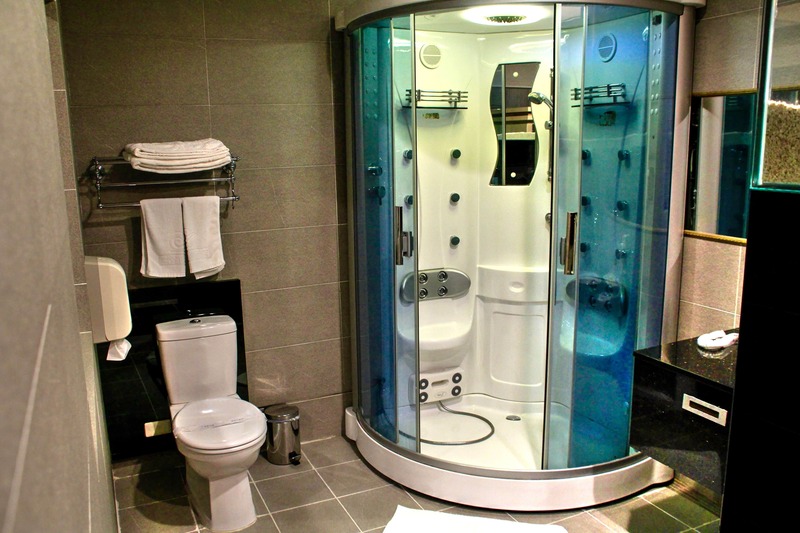 Our bathroom was almost the same size as the room itself and had a shower with numerous jet options as well. A hot water dispenser made it easy for us to make tea, and the mini-fridge helped to keep our water cold, which is a must when it’s over 30 degrees Celcius! Included with our room was a buffet breakfast featuring a combination of local cuisine and cereals; I personally loved that they offered sweet milk tea! 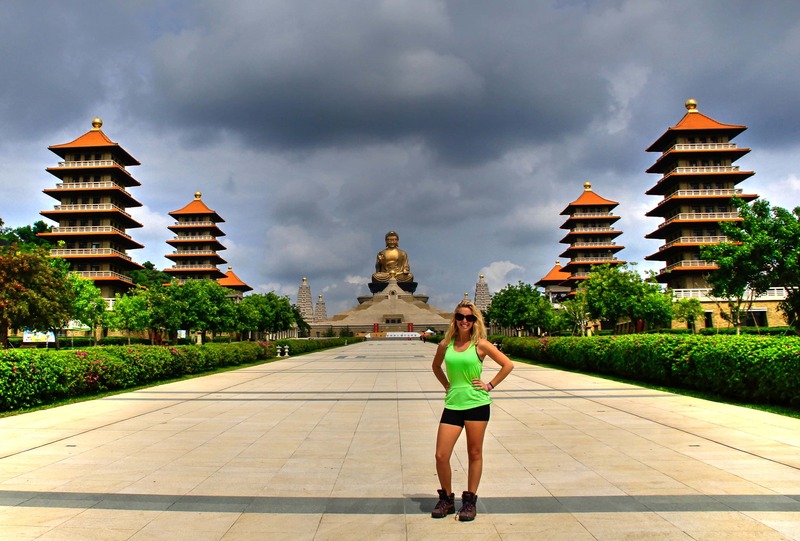 After a comfortable night’s sleep at Leader Business Hotel we made our way south an hour to Fo Guan Shan Monastery, Taiwan’s largest Buddhist monastery. 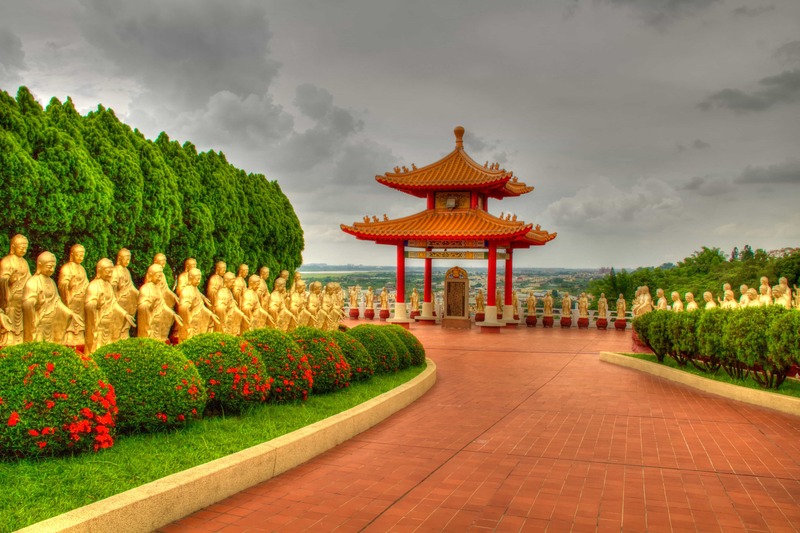 Before entering the monastery, our road trip in Taiwan first took us to the adjacent Buddha Memorial Center. Walk through a building filled with shops of all kinds before exiting through the doors into a beautiful plaza lines with eight Chinese-style pagodas. Looking straight ahead, down the path and into Bodhi Square, you will see the giant Amitahba Seated Buddha surrounded by four stupas (of the four noble truths). You could walk up the stairs until getting quite close to this 108 meter Buddha statue. From the Buddha Memorial Center, we began walking next door to the Fo Guan Shan Monastery. It’s a bit of an uphill walk, but the premises themselves are beautiful. 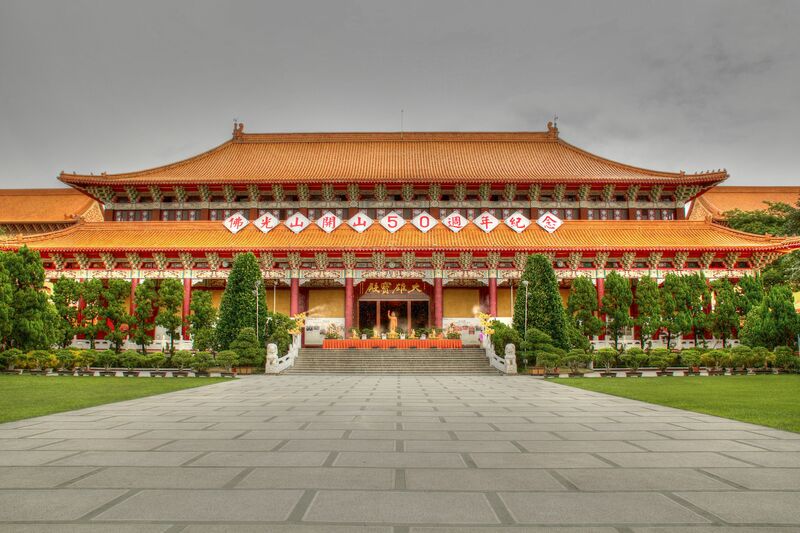 The Main Shrine was designed by the Founder Venerable Master Hsing Yun and finished was completed in 1981; the foundation stone was brought from a location in India where the Buddha Himself taught the Dharma. Within the Main Shrine, there are three Buddha images, each 7.8 meters high. 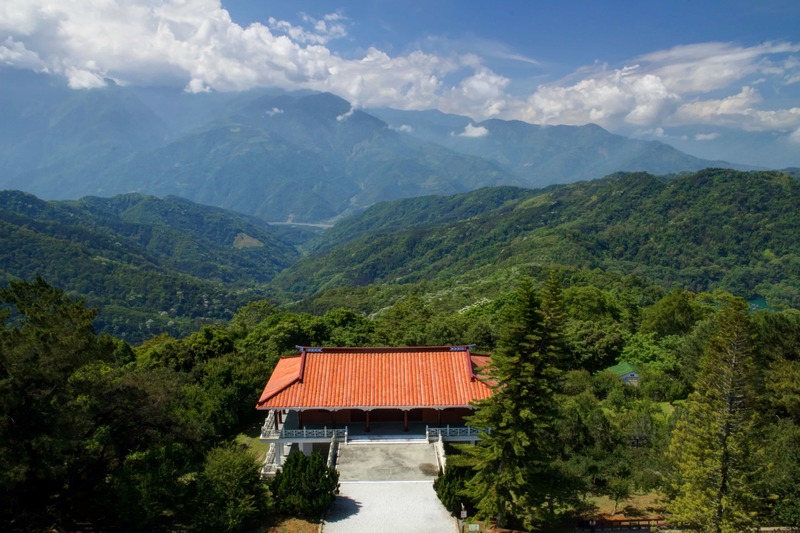 Along the eastern side of Fo Guan Shan Monastery, you will find Great Buddha Land. 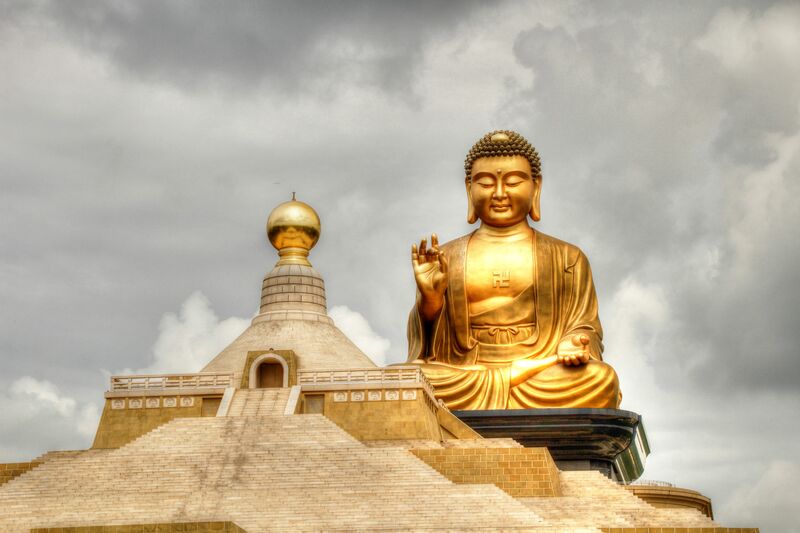 The Great Buddha is 36 meters tall, golden, and remains the highest standing Buddha in Southeast Asia. While the Great Buddha’s size demands your attention, it’s not easy to miss the 480 smaller images of the receiving Buddha surrounding the Great Buddha. 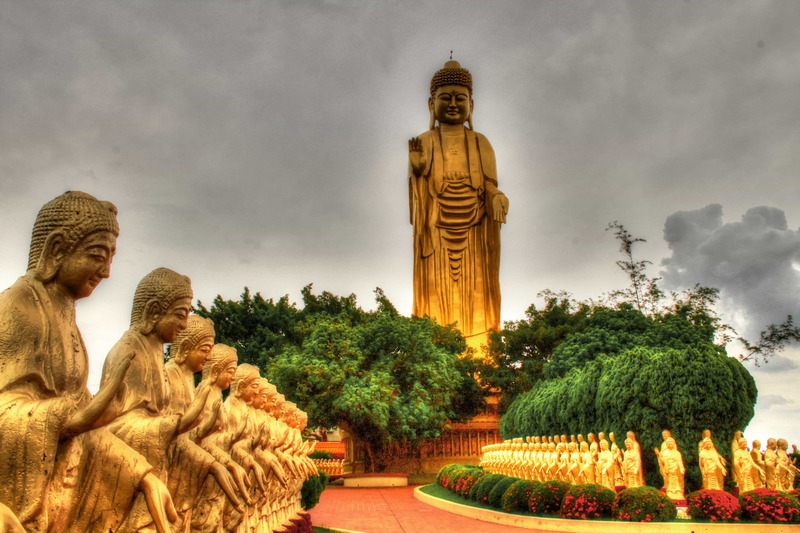 The Buddha Memorial Center, and the Monastery itself, shouldn’t be missed when exploring Taiwan. In fact, it’s one of my highlights from the country as a whole. Try to arrive at the memorial no later than 9am to avoid the masses of tour busses and to take in the serenity of the premises on your own. We also happened to arrive at the Monastery on the weekend of Buddha’s birthday, so there were still some remnants of celebration as we were given iced herbal tea and delicious Taiwanese birthday cake. Surprisingly though, the monastery wasn’t at all touristy. I’d presume it to be relatively empty on any weekday and couldn’t recommend this highly enough to anyone on a road trip in Taiwan! 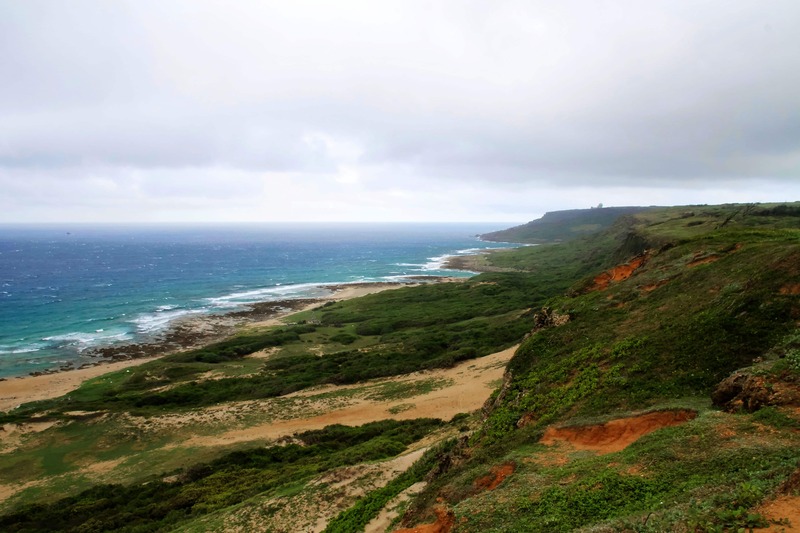 Known for its beautiful coastline, we made our way to Taiwan’s Southern Tip: Kenting National Park. 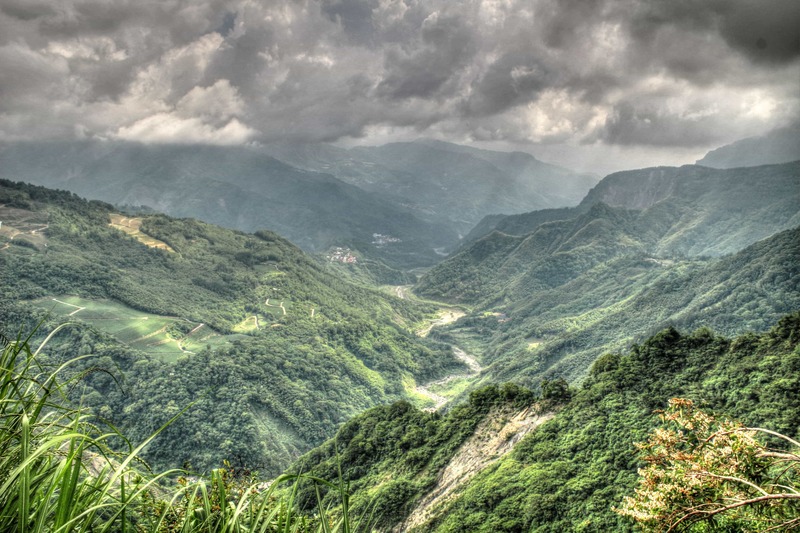 Founded in 1984, this is Taiwan’s oldest National Park known for it’s year-round tropical climate, beautiful beaches, mountains, and diverse flora and fauna. 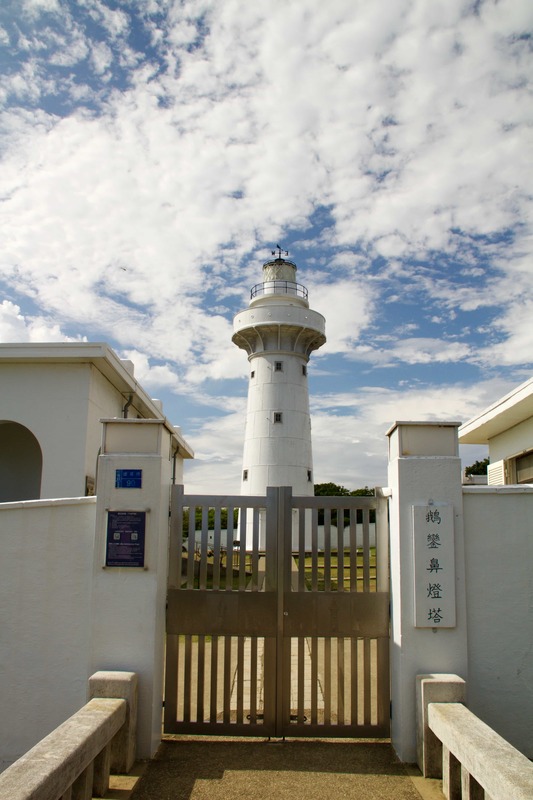 We, unfortunately, didn’t have enough time to explore the national park, nor great weather, so we went straight to the Eluanbi Lighthouse, one of the only fortified lighthouses in the world. We personally found the lighthouse to be incredibly unimpressive, but the park itself was lovely. There are numerous signs directing you to coastal walks, ancient grounds, narrow caves, and simple pavilions. Spend about an hour making your way through the park before moving on. By that point it was about to storm again. We had just enough time to stop at a viewpoint before it started to downpour! 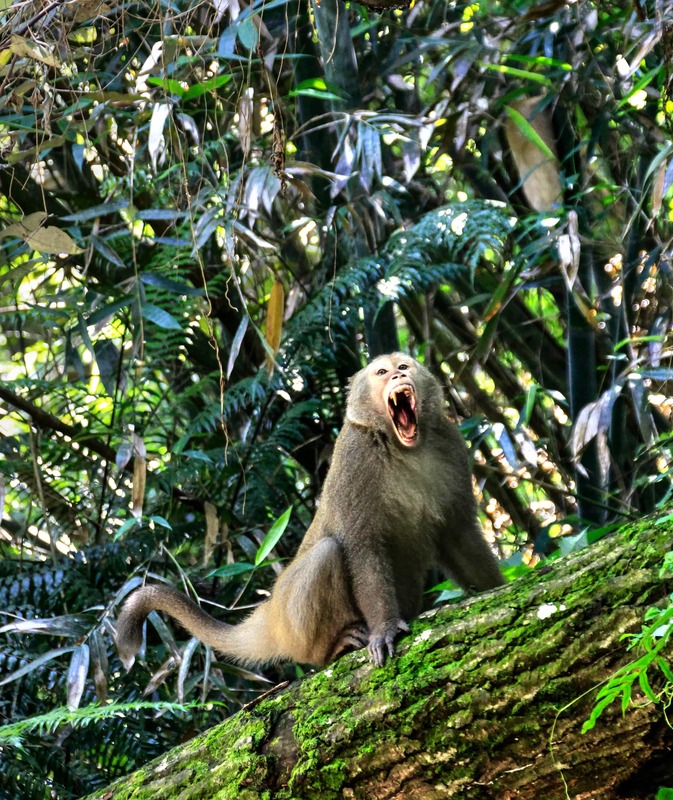 Sadly, we were unable to explore all that Kenting National Park had to offer, but that just gives us another reason to take another road trip in Taiwan, right? On our way back to Taichung, we pit-stopped at the Nantou Sky Bridge. Despite being the longest suspension bridge in Taiwan, we found it entirely unimpressive, although popular with locals. There is a 4km trail around the area, but we decided to pass since it was still stormy and there were no views. 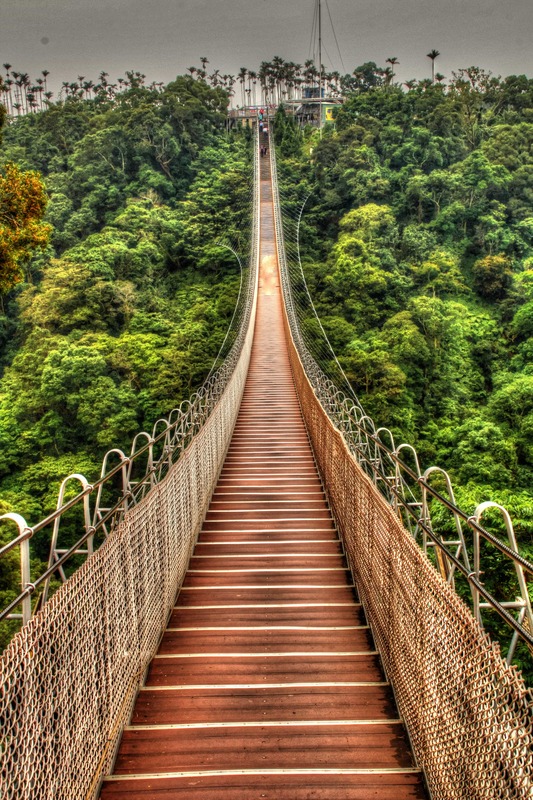 If you’re road tripping through Taiwan, I would suggest skipping the Sky Bridge. From the Nantou Sky Bridge, our road trip in Taiwan came to an end as we continued onwards to drop off our car in Taichung. Green Island Car Rentals proved a reliable company. With a speedy pick-up/drop-off process, and unlimited kilometers, it was easy to get around the island. If you’re looking for a fancy car, this company isn’t for you. If you’re a backpacker, or simply looking to save some money, Green Island Car Rentals is exactly what you’re looking for, and the only car rental company in Taiwan with budget prices. Taiwan is most definitely a country worth navigating by car, and I only wish that we had had more time to further explore. 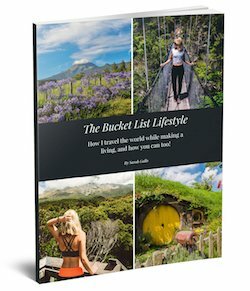 Planning a Road Trip in Taiwan? Pin It Please! **Special thanks to Green Island Car Rentals, Love Home Garden Inn, and Leader Business Hotel for sponsoring our journey. As always, all opinions are my own. Thank you for the nice article and referring CheapCarTaiwan.com as a cheap & easy car rental company.